A team of researchers from The University of Manchester are one step closer to figuring out how the darkness of atmospheric soot particles is controlled by transparent coatings – a discovery that will help to inform global policy-makers analyzing the effects of pollution on climate. The researchers tested various types of soot during Bonfire Night in 2014 which, as a result of the weather conditions, was highly polluted and provided an ideal opportunity to analyze a high concentration of atmospheric wood smoke particles. Their results will appear in the prestigious journal Nature Geoscience. 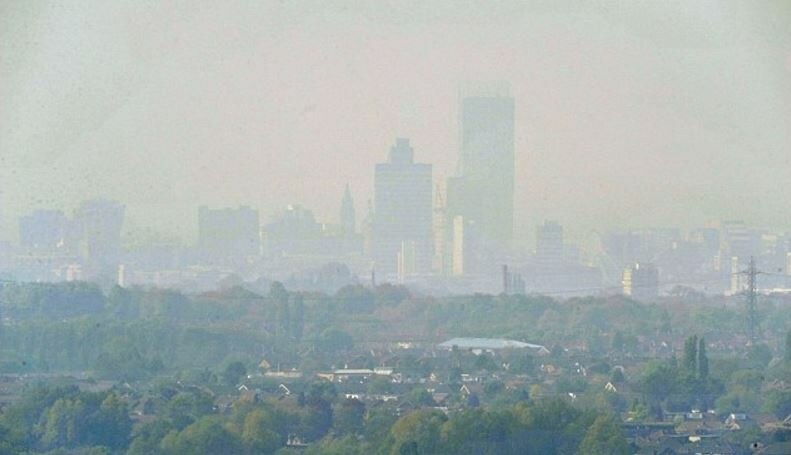 The research team from Manchester’s School of Earth and Environmental Sciences focused on the blend of black carbon and other substances in soot particles that are emitted by combustion processes, such as fires, industry, or diesel engines. Soot particles are known to affect climate, particularly on local scales where they can influence weather systems like the Indian monsoon – but their exact effect is currently highly uncertain. An issue that people contend with is that it is predicted that if the soot is coated with another material then this will make it appear darker and possibly amplify the impacts that it has on weather and climate. However, evidence for this effect in the field has been inconsistent. With a combination of lab and atmospheric measurements we’ve shown that this coating mass has to reach a certain threshold for this to take effect. These finding will help us reconcile results from previous experiments and field observations and should help us develop more accurate climate models in the future. Our measurements made use of soot in the air during Bonfire Night in 2014 because the specific weather conditions that night meant that Manchester was briefly blanketed with the kind of concentrations that wouldn’t be out of place in Beijing. We were set up to measure them with our specialist instruments. As it turns out, the data from that night and the week surrounding it gave us a good mix of soots, from diesel vehicles, home fires and bonfires, so we were able to compare them between each other and what we had generated from our laboratory-based diesel engine and this gave us the insight that we needed. The University of Manchester team studied the quantity of black and non-black carbon found in particles in the atmosphere because the right blend forms a coating, resulting in internal reflections that make the black carbon interact with light more intensely. A similar effect makes sand to appear darker if it is wet. Various forms of combustion develop different ratios of black and non-black carbon – and the team believes they have detected the specific mass ratio at which the light absorption improvement begins to happen, causing the soot to become darker. If the ratio of non-black carbon to black carbon is below 1.5 – which means that there is one-and-a-half times more non-black carbon to black carbon on the soot particle – then no enhanced absorption is identified, perhaps because the material fails to totally coat the black carbon. This ratio is commonly found in diesel exhaust fumes, for instance. But if the ratio of non-black carbon to black carbon is above 3.0 – which would mean that there is more than three times non-black carbon to black carbon on the soot particle. Then this does produce an optimum lensing effect and so light absorption is improved. These higher ratios are spotted on soot from wood burning, which is a chief global source of soot from forest fires and farming.